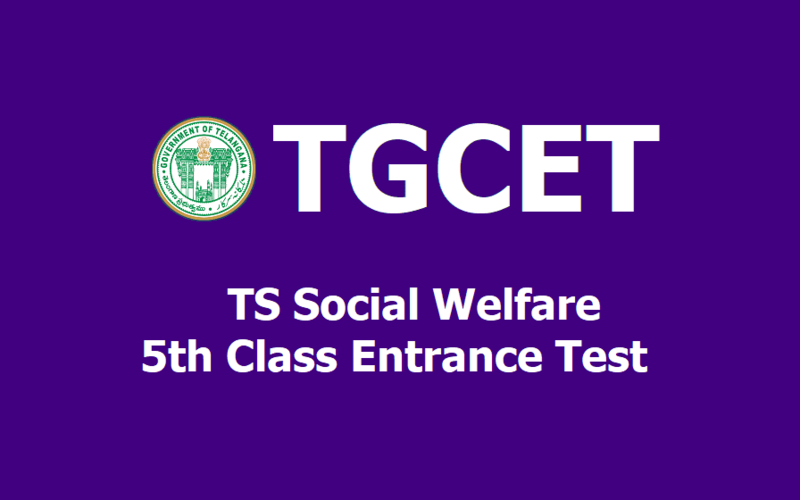 TGCET 2019,TS Social welfare 5th Class entrance test 2019 / tswreis gurukulams class 5th admissions, ,TSWREIS 5th Class Entrance Test 2019, TGCET 2019, TS Gurukul CET 2019, Telangana Gurukul CET 2019, 5th Class Entrance Test 2019, Telangana Gurukulam Common Entrance Test 2019, TS Gurukulams 5th Class Entrance Test 2019 , TS Gurukulam 5th Class Entrance Test 2019, TGCET online application form, TGCET last date for apply, TGCET hall tickets, TGCET results, TGCET certificates verification dates, Social Welfare Residential Schools Common Entrance Test-2019 for Admission into #5thClass, Telangana SWAEROCET 2019, fifth class admission test details given here. The TSWREI Society visualizes to provide quality modern education to the talented students belonging to marginalized section of Society predominantly from rural areas through the use of modern TECHNIQUES, Pedagogy and various experimental learning activities in a stress free environment to make learning a joyful experience. As per GO.no.20, dated: 02/06/2019, the TS Social Welfare department is going to release the 5th class admission test 2019 in this month and online application forms would be invited from the eligible candidates for admission into Class V for the academic year 2019-2020 in newly sanctioned 103 Social Welfare gurukulams and applications have to be submitted ONLINE. TGCET ~ TS Gurukulam 5th Common Entrance Test(Residential School's Common Entrance Test) 2019 notification has been announced on.... February 2019 by TSWREIS Officials for admission in SC, ST, BC Gurukulams. Online application forms submission from .....02.2019- .....03.2019 duration for application. The Telangana Government will fill the 240 seats in newly sanctioned in 119 BC Gurukulams. The Students should be a bonafide of Class VI during the academic year in any Government School or any recognized school of Telangana State. TGCET ~ TS Gurkul CET Labels in TGCET 2019, TS Gurukulams 5th Class Common Entrance test 2019,TG Gurukul CET 2019,TS Gurukulam 5th class admissions 2019, Telangana Gurukulam 5th class Common Entrance test for Telangana Gurukuls, TS Residential Schools 5th Class admissions.